Although Iranian media was quiet about activity at the space center, it previously boasted that a new satellite launch was imminent. Iran made a failed attempt to put a satellite in orbit in January using a different class of rocket. Iranian officials openly admitted to the January effort, saying it failed because the third stage of the launch vehicle did not achieve the speed necessary to reach orbit. The Jerusalem Post was among the observers on Thursday who assumed the new launch also failed because Iranian officials and state-controlled media outlets are not talking about it. Iranian media could be expected to trumpet any sort of technological triumph, and any act of defiance against the United States, during the ongoing celebration of the Islamic revolution’s 40th anniversary. 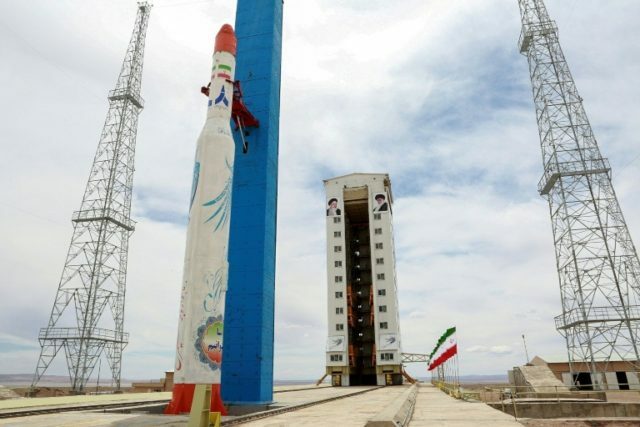 If a launch did occur, it would mark Iran’s fifth attempt to reach orbit with the liquid-fueled Safir vehicle, technology Iran acquired from North Korea. Iran denies charges that it uses satellite launches as cover for ballistic missile research and insists the U.N. Security Council resolutions invoked by the United States merely “recommend” Iran abstain from missile testing, rather than banning it outright.